A loveable top for your little sweetie! 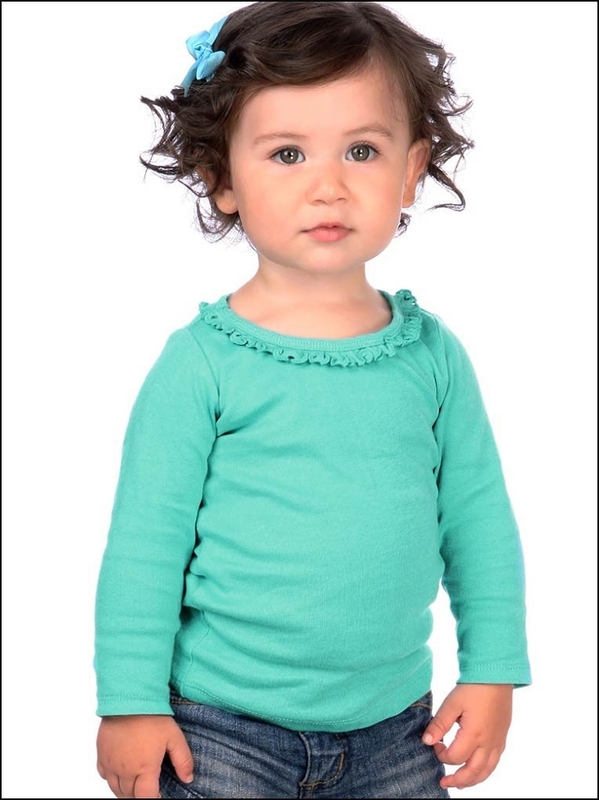 Our adorable long sleeve sunflower tee features delicate ruffles at the neckline that adds a charming look to many outfits! Created for super-soft skin, it's composed of soft cotton 1x1 rib. Lettuce edge ruffle at neck line. Cotton 1x1 rib 100% cotton ring spun combed, 5.3 oz/sq yard.